In 2018, we’ve been able to see incredible impacts. We have even greater ambitions for 2019. To accomplish the goals we’ve set for 2019, we need your help to reach our Year-End Goal by the end of the year. We are close to reaching our Year-End Goal. Let’s start 2019 off strong together. Hitting this goal would allow us to impact more professionals and community members throughout the region in the fields of advocacy, law enforcement, prosecution, victim assistance, and child safety through education, policy advocacy, technical assistance, community support, and social change. This will also send us into the new year with momentum, investing more than ever toward the future of our Native youth. 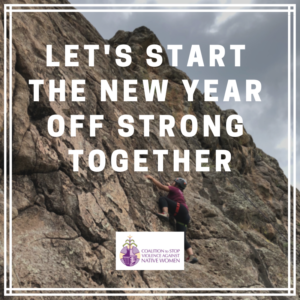 Let’s make 2019 the best year CSVANW has ever had by starting strong together.